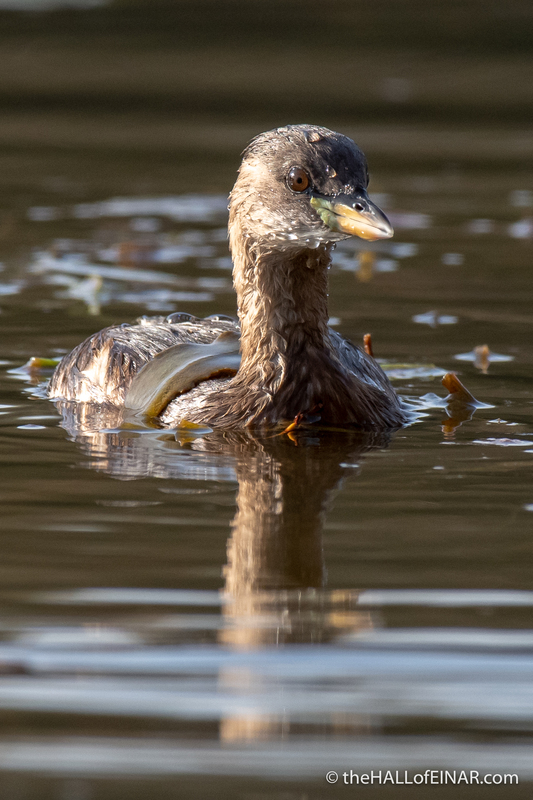 It’s always amused me that the Orcadian name for the Little Grebe is Little Footy Arse. It’s such a great descriptive name. They are tiny birds, seemingly only half a bird, and have their feet sticking out of their backside. Their scientific name is Tachybaptus ruficollis. The genus Tachybaptus is from the Ancient Greek takhus which means fast, just like Tachycardia is a fast heartbeat, and bapto which means ‘to sink under’, similar to the word baptism. The specific name ruficollis is from the Latin rufus which means red and the Modern Latin -collis, which means necked, which is originally from the Latin collum, or neck. That’s presumably from the same root as collar.